MOJAVE, Calif. — The first suborbital space passenger is less likely to be a billionaire like Virgin Galactic’s Richard Branson or Blue Origin’s Jeff Bezos, and more likely to be an as-yet-unnamed employee at one of their companies. 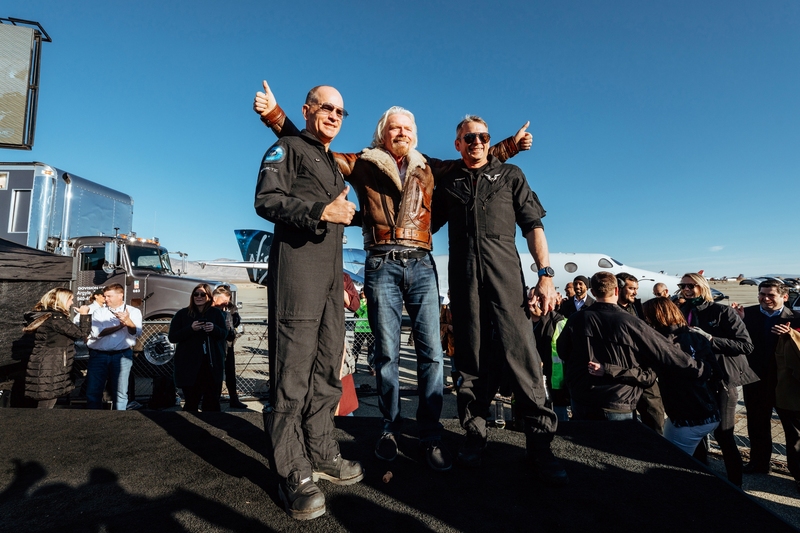 That’s despite Branson’s promise, reiterated in the wake of Dec. 13’s successful test flight past the 50-mile altitude mark, that he’d be the first commercial passenger on Virgin Galactic’s VSS Unity within the next few months. “Suborbital” is key as well: There have already been a good number of passengers on orbital spacecraft, going back to the days of Russia’s Mir space station in the 1990s. Seven people have paid their own way for trips to the International Space Station, with the official status of spaceflight participants. Looking ahead, passengers may get their chance to purchase seats on SpaceX’s Crew Dragon or Boeing’s Starliner space capsule. This entry was posted in GeekWire and tagged Blue Origin, Space, Space Tourism, Virgin Galactic. Bookmark the permalink.